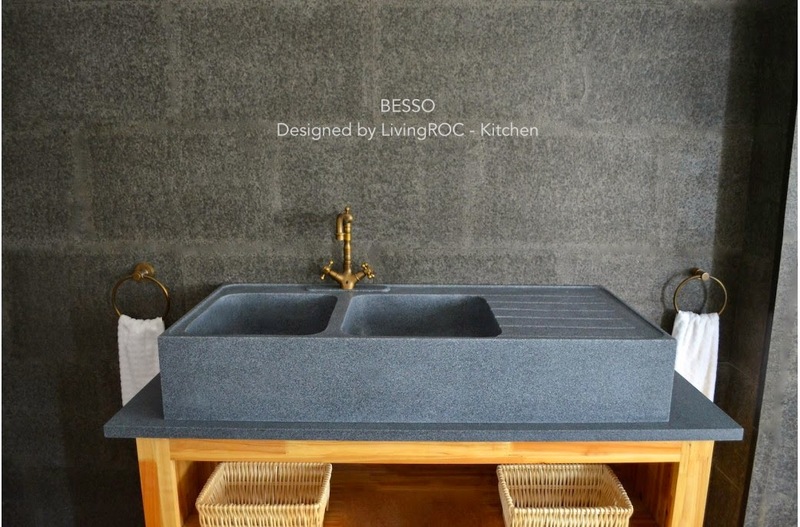 LivingRoc USA-The Blog: AMAZING KITCHEN GRANITE SINKS!!!!!!!! We live in our kitchens. We grow our families in our Kitchens. It is the heart of our home. The kitchen is where all of the action takes place. The kitchen is much more than a place to cook and eat. Updating your space could not be any easier here at LivingRoc. Simply choose from our line of granite Kitchen sinks to make your kitchen warm and inviting. BESSO is equipped with two deep large bowls. You will appreciate BESSO'S simplicity, beauty and practicality combination as well its smooth and matte finish. The kitchen sink surface is ecologically waterproofed. This Farmhouse kitchen sink has been designed to last a very long time, giving you a great level of resistance and easy maintenance. 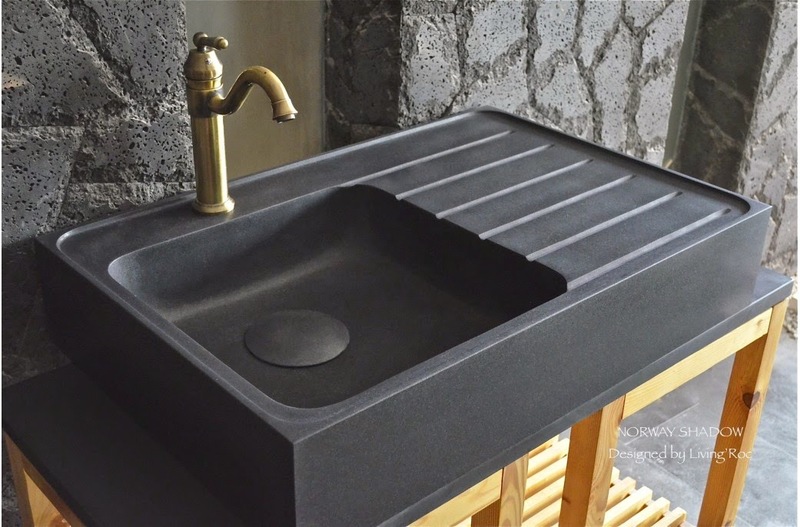 Imagine one day you beautify your kitchen with this very rare and sought after pure natural Shanxi black granite kitchen sink NORWAY SHADOW -36" x 22" x8". Equipped with a large single bowl and the grooved dish drying rack which has been incorporated harmoniously with NORWAY SHADOW. Do you dream of a luxurious kitchen? 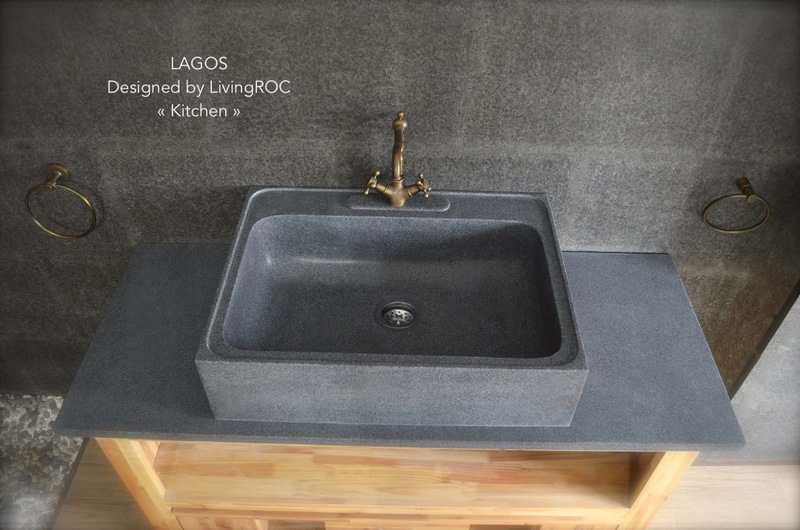 Discover the creation of LAGOS- 30" x 22" x 8"- genuine high-end kitchen decoration in trendy gray granite. With its large single tank, and ergonomic design, slightly inclined as to not hold water. 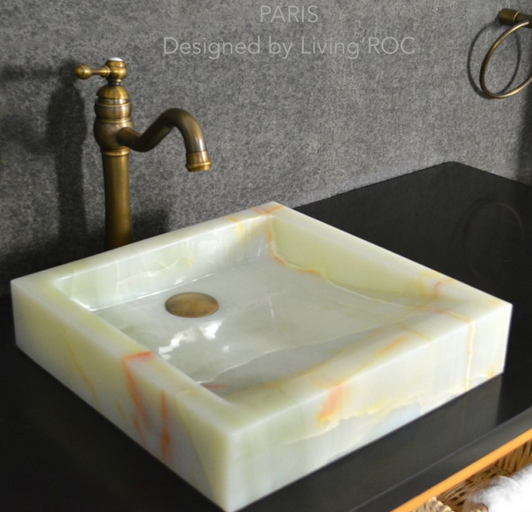 natural stone unique in the US and exclusively available on Living'ROC.net and directly inspired from our French trendy range. With all these selection and more your kitchen will be the true HEART of the house. Please feel free to visit our entire collection of granite kitchen sinks at LivingRoc.